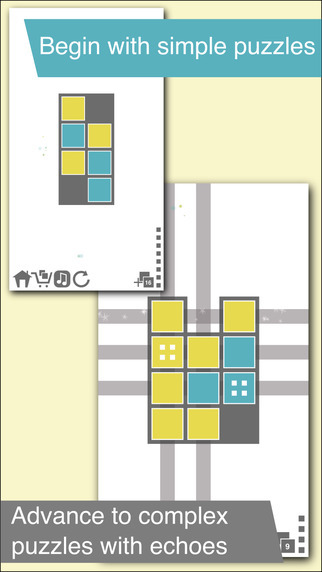 The folks at Pikaware LLC contacted me 2 months ago about their puzzle app game: Tile Enigma. It's very unique. The object is to get a stripe for each row and column within a certain # of moves. Look at the first diagram. 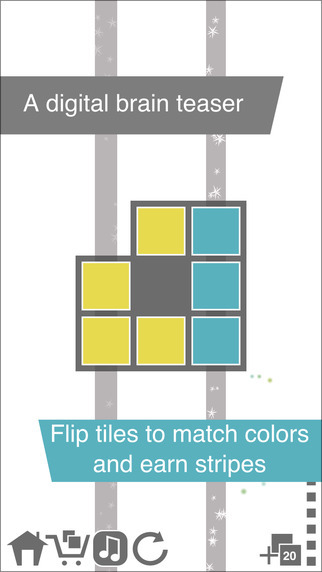 The middle blue piece can flip over to yellow if it moves 1 step to the left. 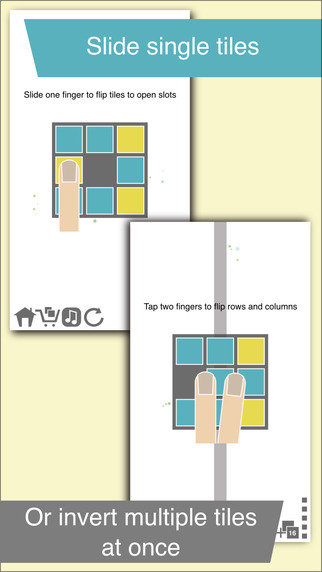 Double tap a row or column and all its colors will flip. Look at the last image. See the yellow square with 4 white dots? That square will activate the diagonal neighbors if it gets activated by being in a successful row or column. This means that 1 move can lead to a long chain reaction. Trying to figure out that chain is essential for some levels. There are 100 levels. The first 40 are free. After that, the rest is $1.99. I bought the level pack and discovered that there's another types of square with 4 white dots: it will affect only the orthogonal neighbors. Must mention the ads that pop up. They appear at the top and I never noticed them. Until I tried playing this game without wifi. You cannot play this game unless you have wifi. Of course you can eliminate them for another $1.99. Truly, they were not bothersome at all. Level 93 took forever to solve. I solved all 100 levels and according to this message, I'm prodigious.